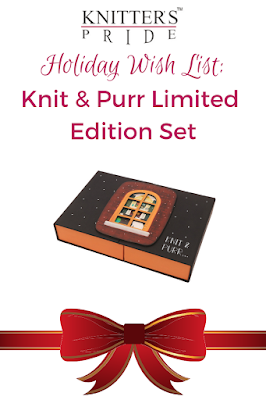 On our last blog post, we revealed this year's limited edition holiday gift set, Knit & Purr - click here if you missed it! As the holiday season shifts into high gear, it's time to start planning your holiday shopping, and perhaps dropping a few hints to loved ones! Today, we share some of our top picks to give and get this holiday season - there's truly something for everyone on your list. 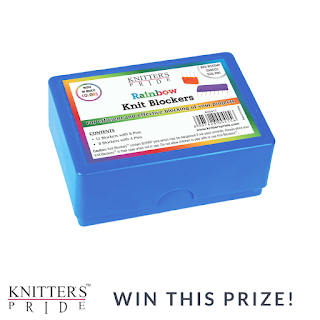 Keep reading to find out how you can enter this month's prize drawing to win a set of our new Rainbow Knit Blockers, too! 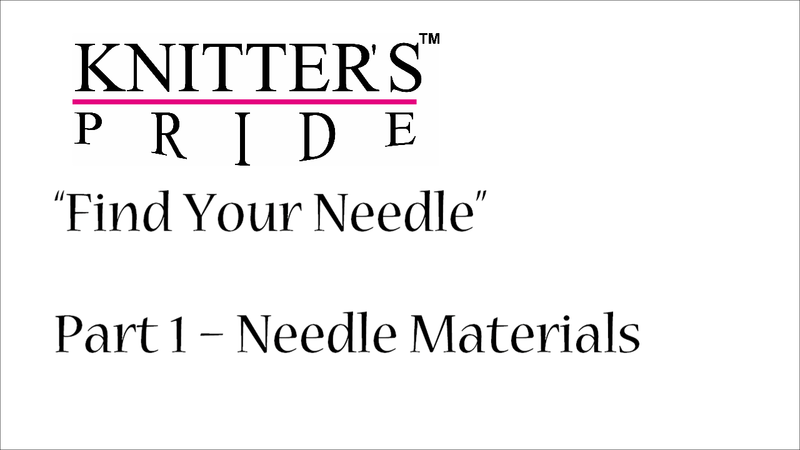 Our newest addition to the Knitter's Pride family is already receiving rave reviews! Knitwear designer Courtney Spainhower recently gave our Ginger Special Interchangeable Set a test drive, and crochet designer Phanessa Fong is loving our Ginger Tunisian Hook Set. We're pretty sure that the knitter or crocheter on your list will, too! 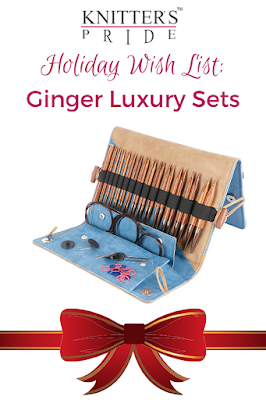 Each set comes in a deluxe faux leather case which has a built in magnetic pattern chart keeper and a handy storage pocket to keep the stitch marker, cords, cord keys and end caps which are included with each set safe (note: the Ginger DPN set includes a needle gauge rather than cords and cord keys/end caps). As an added bonus, we've also included a matching pen. Click here to learn more about our Ginger knitting needle range and click here to learn more about our Ginger crochet range. Pin the graphic below to your Pinterest wish list! 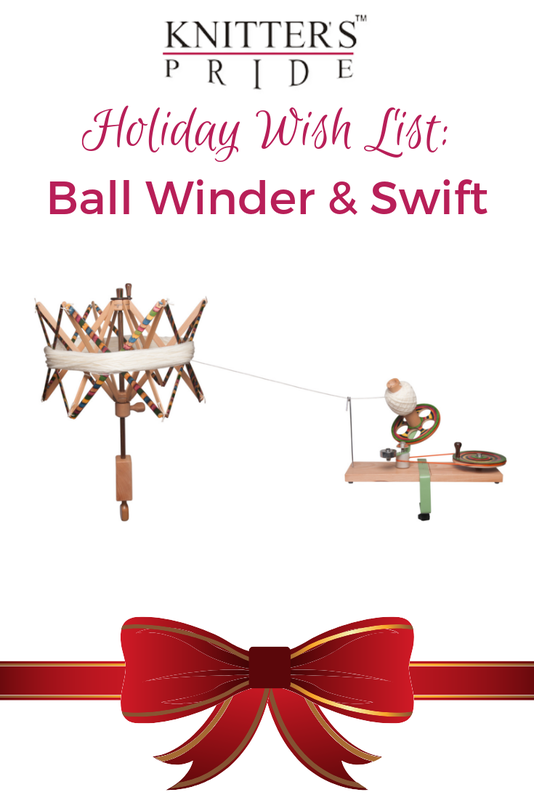 Any knitter, crocheter, hand spinner or weaver will find a ball winder and swift useful. Not only is it an efficient way to wind hanks of luxury yarns into center-pull balls, it can be used to skein up handspun yarns or re-skein leftover or reclaimed yarn for easier use at a later date. Both of these time-saving tools come in your choice of Natural Birch or colorful Signature Birch styles - click here for more details. For a truly remarkable gift, the Knit & Purr 2018 Holiday Gift Set carries a collection of millennium interchangeable knitting needles which are made from a combination of black & red laminated wood that is brought together by hand to create a unique pattern in each needle. Packaged beautifully in a specially-designed box resembling a cozy abode, Knit & Purr includes also includes a reusable "Knit & Purr" tote bag to create a delightful treat for any knitter on your list. Click here to learn more about this limited edition gift set. Fashionable and functional, these elegant designs will be a welcome surprise for the knitter who has it all (and crocheters will love them, too!). 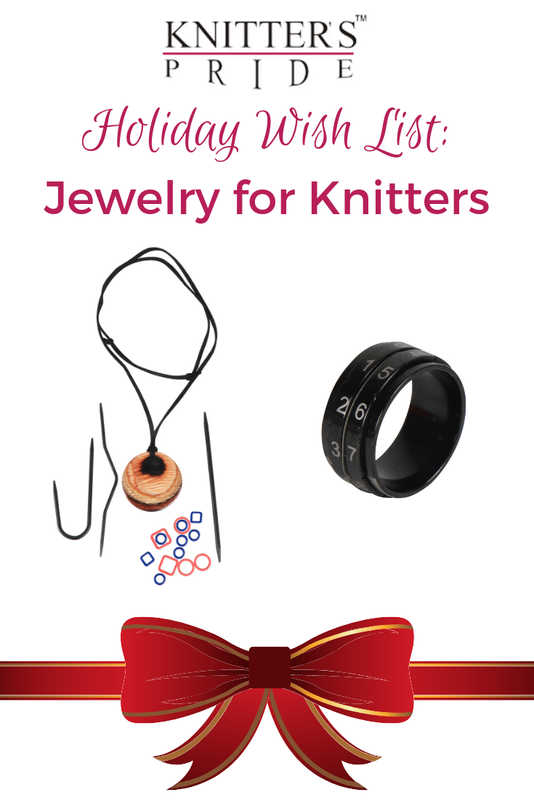 Our Magnetic Knitter's Necklace Kit features a magnetic wooden pendant can be used to keep the cable needles and stitch markers close for easy access. Each kit comes in your choice of two pendant colors and includes cable needles and stitch markers, which can also be purchased separately as needed. Keep track of your knitting pattern in style with one of our new Row Counter Rings! These rings can be worn on an index finger or thumb, allowing you to push the required number band towards the center for easy rotation as you work. Available in 4 sizes, they are made from high quality stainless steel and are also hypoallergenic. 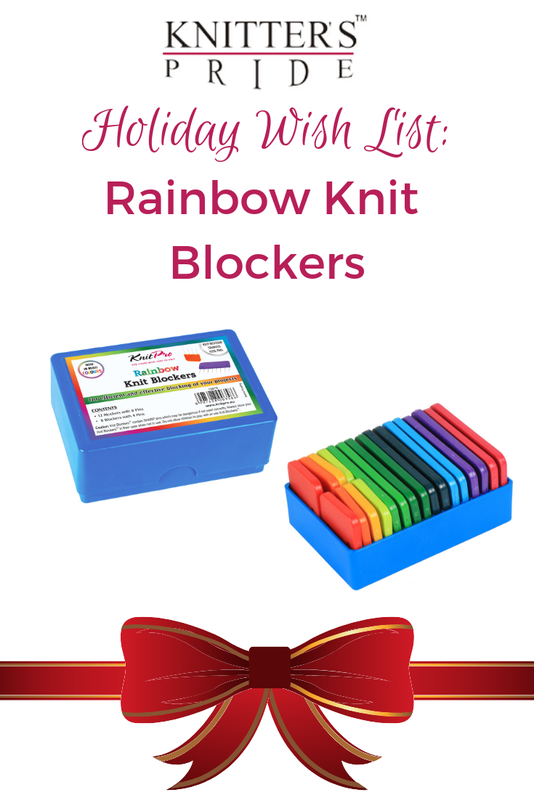 We've had many fans tell us that our Knit Blockers are such a time-saving tool, they've purchased multiple sets - so you really can't go wrong with our new Rainbow Knit Blockers! This revolutionary tool is designed to speed up the blocking process for knitters & crocheters alike, and now it has a playful new look. Each set includes ten different colors to make blocking your next project more fun. By popular demand, we've expanded our Zing line to include crochet hooks in a beautiful spectrum of colors. 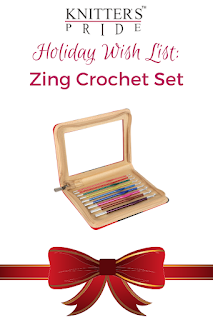 The Zing Crochet Set set includes 9 hook size in a lustrous metallic shade unique to its size. Crocheters will love these lightweight hooks, and each set comes packaged smartly in an attractive zipper case for easy storage and travel. Ask any knitter or crocheters and they'll probably tell you that you can never have too many WIPs (Works In Progress). One of our beautifully handcrafted wooden yarn bowls or dispensers is a thoughtful gift to keep their yarn safe and tangle-free while they work! 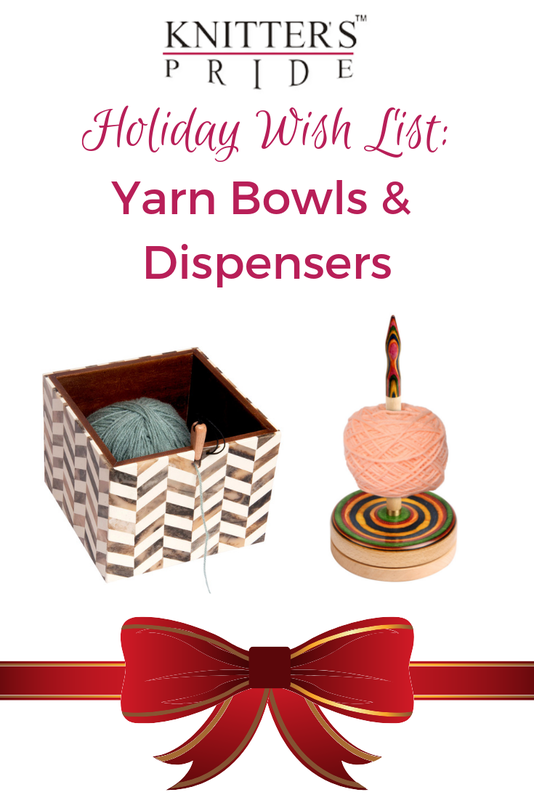 Our yarn bowls come in two styles, Leafy or Pearly, or choose between our Natural and Signature Yarn Dispenser to delight any yarn lover on your list. 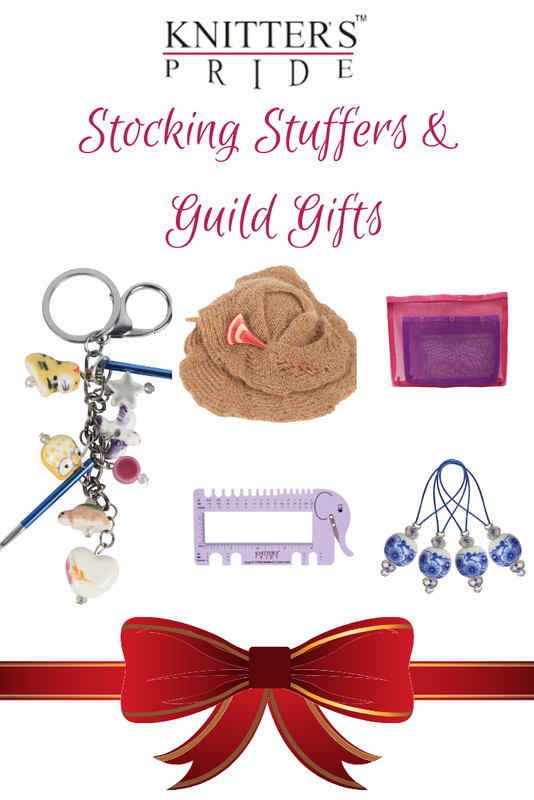 We have many affordable options which make excellent stocking stuffers, guild gifts, or fun little extras to include with a handmade or store-bought gift. Exchange our Knitting Charms with folks in your knitting or crochet group as a token of your friendship - each one can be used as a keychain or bag charm, and includes a miniature Zing needle and hook to mend your work. So handy! Shawl Pins are a wonderful gift for your shawl-loving friends, and can be given on their own, or with one of your own making. Check out our newest shawl pin styles here! Our new Vibrance Mesh Bags come in your choice of zipper or snap closures, and are great for organizing just about anything - yarn, notions, school supplies, or even toiletries! We love tools that do double duty, and each elephant-shaped Needle & Crochet Gauge not only identifies knitting needle and crochet hook sizes easily, it also lets you measure stitch gauge and includes a built-in yarn cutter, too! Choose from two colors, Blush and Lilac. Stitch Markers are always a gift you can't go wrong with! We've added fun new styles to our Zooni range, all of which come packaged in a mesh zipper pouch for a lovely presentation. One lucky winner will win a set of Rainbow Knit Blockers - just click here to sign up for our newsletter to be entered in the drawing! Already a subscriber? Don’t worry, you’re automatically entered as long as you are an active subscriber on our list. We'll announce the winner in next month's newsletter!